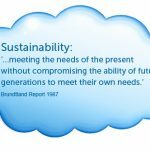 At first glance the sustainable, responsible and ethical investment (SRI) market can appear complicated. Some of the myths that have grown up around this area are also often misleading and unhelpful. The site is free and open for anyone to use although its structure is first and foremost ‘adviser friendly’. Its structure highlights that the funds are genuinely different from one another – making it easy to search funds with specific characteristics. 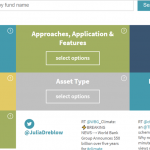 The site includes a fact find and a fund tool, filter options and links to make it easier for (UK based) intermediaries to match clients’ personal aims and opinions to fund options (and print/pdf your findings). When starting out it is important to understand that different strategies have evolved for different reasons and the the words used by fund managers sometimes reflect when the fund was launched and that fund aims and objectives vary – as do clients! Different strategies have place different emphasis on these aims. 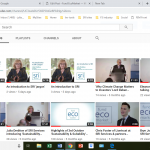 You can browse the options on the filter fields for ideas about this or see adviser downloads – that are available here. We recommend financial advisers ask all clients whether or not they are interested in this area as part of their standard fact finding process (see ‘Advice Process’ and www.sriServices.co.uk for further support). For interested clients we recommend advisers then proceed to ask further, more specific, questions. To help get you started we offer a free to use on-line ‘SRI StyleFinder’ questionnaire. This enables users to identify the types of screened and themed options (‘SRI Styles’) that are most likely to suit their personal aims and opinions. The questionnaire can be saved and printed in report form. The identified ‘best fit’ SRI Styles can then be selected within Fund EcoMarket filter options – so that research is narrowed down to focus on potentially appropriate options only. Research can then be refined further using the additional filter options on Fund EcoMarket. Please note this for information purposes only and does not represent advice or endorsement of any kind. We are not authorised to offer financial advise and can not deal directly with individual investors.